Hunter Douglas is an investment sales specialist advising clients in the acquisition and disposition of storage facilities. Primarily focused in Texas, Hunter works with institutional and private clients to take advantage of trends in the self-storage market. From private capital to institutional clients, Hunter and his team have worked with some of the biggest players in the industry. 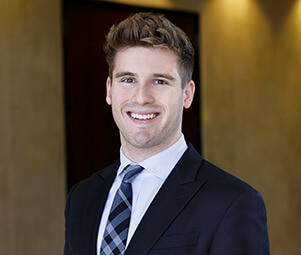 Using unrelenting work ethic, strong relationships, and comprehensive knowledge of the industry, Hunter prides himself on his unwavering commitment to meeting his client’s immediate needs and long-term financial objectives.